FRANKFURT -- Rolls-Royce has code-named its first SUV "Cullinan" after the world's largest diamond and will begin sales of the vehicle at the end of 2018, a German magazine said. The UK ultraluxury brand will build about 2,000 units of the SUV, which will start at about 275,000 euros, German publication Autobild said in a report. 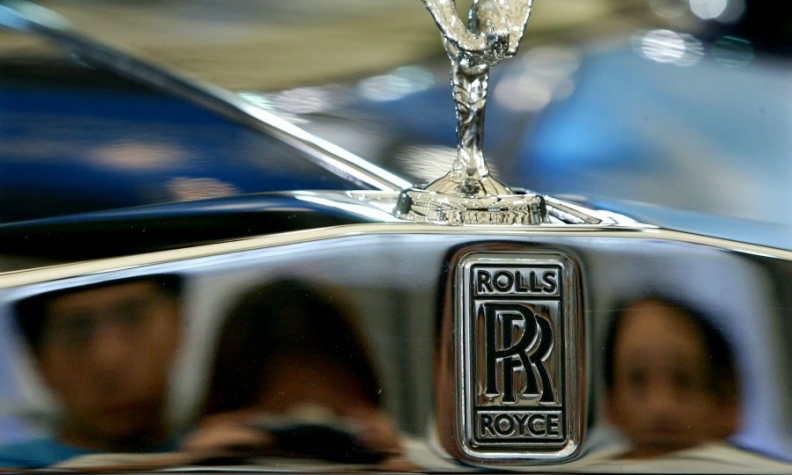 A Rolls-Royce spokesman said the report was speculation and declined to comment further. Rolls-Royce CEO Torsten Mueller-Oetvoes said in a Jan. 9 interview that the brand is considering whether an SUV would fit into its lineup. At the Frankfurt auto show in September, the CEO was quoted as saying he believed there was a market for SUVs from an ultraluxury segment. Ultraluxury brands are developing SUVs to win wealthy customers in markets such as China, Russia and the Middle East. A Bentley SUV is due to be launched in 2016. Autobild said the Rolls-Royce SUV would have a 6.6-liter engine and a plug-in hybrid version. UK media reports have said the SUV will be underpinned by an aluminum and carbon fiber-architecture shared with the next-generation Ghost sedan and BMW's planned 9-series flagship that was previewed by the Vision Future Luxury concept at this year's Beijing auto show.